Automatic Linear type filling machine is specially designed for oil filling , with type SNYG-12,SNYG-10,SNYG-8,SNYG-6,SNYG-4. Automatic linear type filling machines performs well in filling viscous liquid and corrosive liquid. With the advantage of linear design, this linear filling machine can apply to different kind of vessels easily and can be repaired and operated quickly. 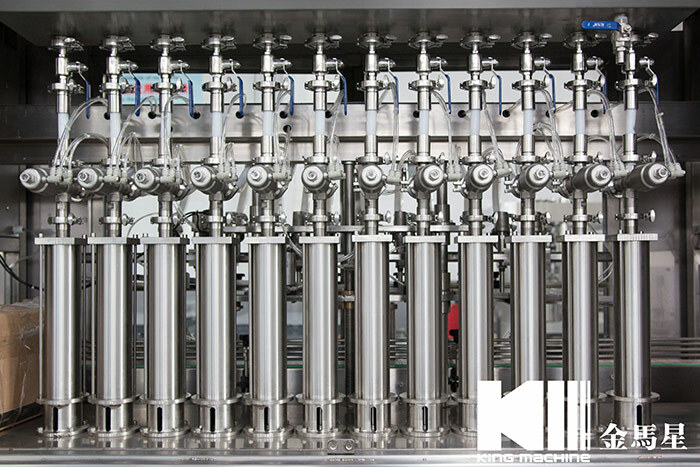 Linear type filling machine is a new kind of oil auto-production line , which is composed by mechanism , electricity and pneumatic technologies together. 1. Linear Type Filling machine is designed to be compact and reasonable. 2. Choosing the international brand of electrical components. The main powered cylinder, chose the Taiwan Airtac double-action cylinder and magnetic switch, the Japanese Mitsubishi PLC computer, photo electricity and Taiwan-manufactured touching screen, ensuring a good quality and lasting steady performance. 3. We can customize the filling machine with specific filling-head number and particular cylinder volume,based on the user’s production demand. 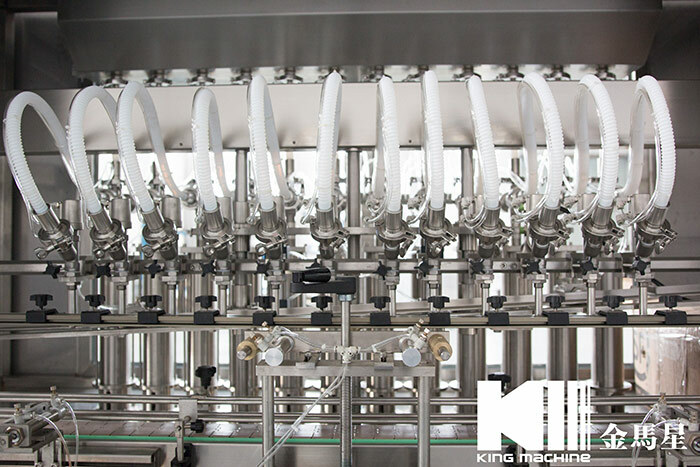 6-head, 8-head and 10-head can be chosen.The cylinder volume can be chosen from 25-250ml, 50-500ml, 100-1000ml and 250-2500ml. The whole machine is speed-adjustable. 4. Convenient maintenance without any tools. This machine can be dispart, cleaned and fixed easily. Filling precision and quantity are adjustable and should be regulated among a big range firstly,then be trimmed. 5. Considering the different viscosity of user’s material ,we especially set a special filling valve to adjust to different situations. and We also designed a descending filling lift system. In order to make the material-falling accurate at the bottle mouth , we designed a horizontal bottle-aiming fixture device. 6. Automatic Linear type filling equipment set a weight filling program to fix the flow parameter and makes the machine adjustable to the complicated material varieties. The system can realize the one-machine multi-use without other parts and decrease the equipment’s repeated investment.